Geology, the science of the earth, is a complex matter. 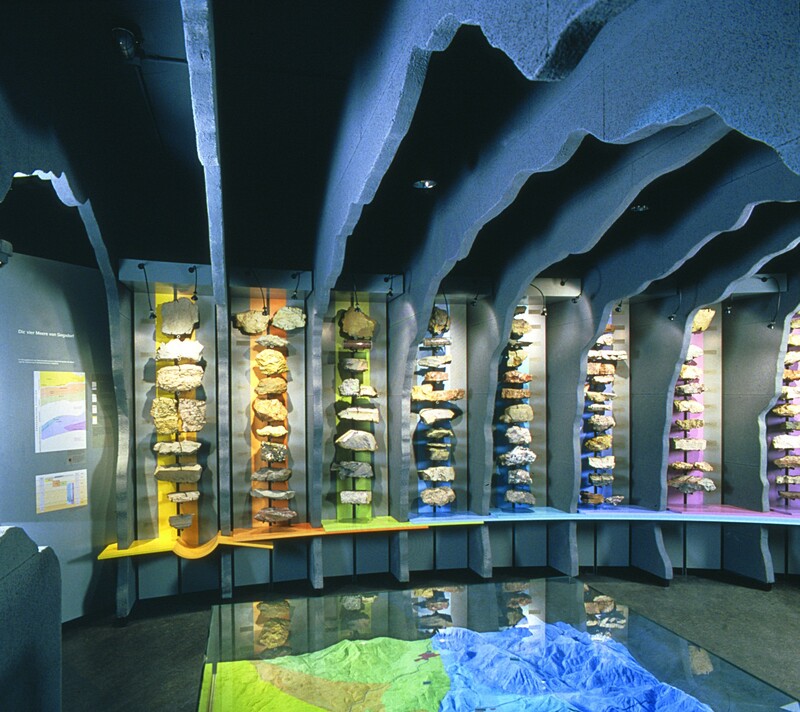 The museum designers have succeeded in presenting geology in a clear and uncomplicated manner. Visitors are able to understand and piece together each part of the geological puzzle: rock formation; fossils; earthquakes; radioactive dating; continental drift. They now have 250 millions years of geological history in front of them. On the museum square you are taken right back to the earth's origin. You can walk along the timeline and discover the most important events in the earth's development till the present day. 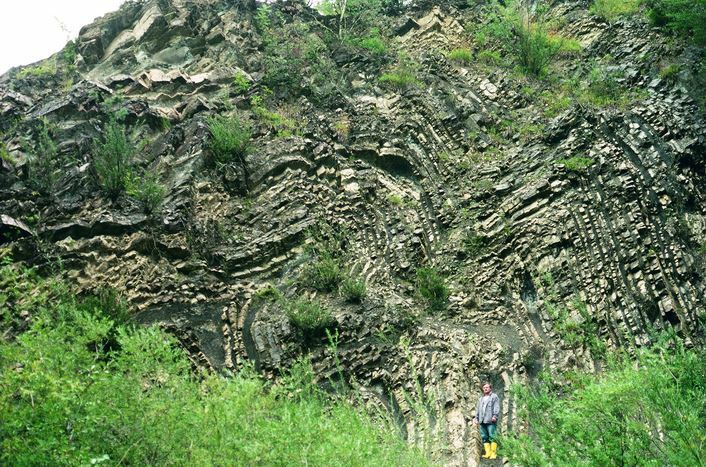 Intensely folded sedimentary rocks – how did this come about?